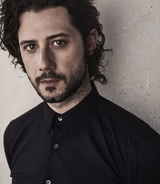 Hale Appleman was born in Greenwich Village, New York City to hippie parents. 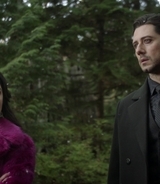 Hale’s mother is a modern dancer and performing artist, and his father is a theatre nerd. He grew up surrounded by the arts and attended many plays—from Broadway to Shakespeare to just about anything—while growing up. Hale was a very serious theatre kid. He did summer theatre programs and camps, such as TADA! and French Woods, the latter of which he went to for four years. He attended the LaGuardia High School of Music & Art and Performing Arts, and then to Carnegie Mellon University for a bit over a year. Growing up, theatre was his first love and he thought he’d be a stage actor for his entire life. However, his time at Carnegie Mellon was cut short because he was cast in his first film, Beautiful Ohio. Being cast in a film gave Hale the opportunity to learn from seasoned actors and to learn how film was made. It turned his life in a new direction. An aspect of film Hale likes is the fact it’s more forgiving than the stage. When he was 20, he was cast in the horror film Teeth, in which he plays the lead character’s boyfriend (and first victim). He then went on to play roles in films like Pedro, in which he portrays real life artist, Judd Winick, and Private Romeo, a gay adaption of Romeo & Juliet, in which he takes on the role of Mercutio and Capulet. In 2012, Hale guest starred in two episodes of the NBC musical show, Smash, in which he plays Zach, one of the main characters’ real-estate friend. Between film and television, Hale returned to the stage for several theatre projects, including the 2008 off-Broadway show, Streamers, in which he plays Richie, American Repertory Theater’s Paradise Lost in 2010 as Ben, and the rock musical adaption of Romeo & Juliet called The Last Goodbye, in which Hale performed as Mercutio in 2013 at The Old Globe Theatre, among others. 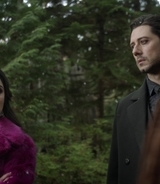 Before auditioning for a role on Syfy’s The Magicians, Hale was thinking about what kind of character he would like to play, if given the opportunity, and he thought he’d love to play a “witty, dandy, fantastical, brilliant, aesthetic genius” of a character. While auditioning for the show, Hale was drawn to the character Penny from the blurb about him, describing him as “punkish, but with a Clockwork-Orange-like attitude,” which Hale felt like he could connect to. Hale’s best friend, who was a fan of the books, urged Hale to read the books. 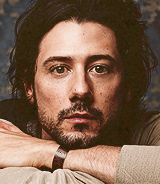 Hale read all the books during the audition process, and while reading, he fell in love with the character of Eliot. After his audition for Penny, which Hale describes as “wonky” and as one that didn’t feel right, he got called back to read for Eliot, and sure enough, he got the part. Hale’s parents are named Richard Appleman and Ara Fitzgerald; and he has an older brother named Jake, who is a sportswriter and the author of Brooklyn Bounce: The Highs and Lows of Nets Basketball’s Historic First Season in the Borough. Gillian Zinser (actress from 90210) is his cousin on his father’s side. 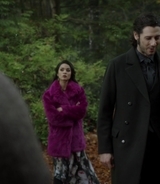 Hale is good friends with actor Anthony Carrigan (Victor Zsasz on Gotham). In 2011 and 2013, Hale was in two different adaptions of Romeo & Juliet, one a film and one on stage, portraying the character of Mercutio for both. In 2016, Hale mentioned he writes music in his spare time and said he will hopefully one day “have the balls” to release it. He loves the fantasy genre, naming Tolkien, Narnia, L’Engle, Potter, and The Princess Bride as some of his favorites. 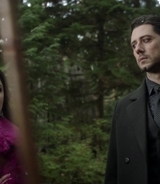 Hale described his sexuality in real life as “definitely not straight,” identifying as queer, and likening to his own sexuality to being as fluid as his character on The Magicians, Eliot’s. 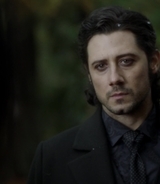 Unlike his The Magicians character, Hale is not a big drinker and described himself as the “straightest edge” when it comes to alcohol. 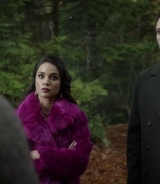 He originally auditioned for the role of Penny (Arjun Gupta’s character) on The Magicians, while Gupta auditioned for Eliot. 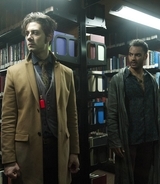 Throughout a lot of the filming for season three of The Magicians, Hale had to use a cane that was concealed primarily through blocking, due to tearing one of his quads because co-star Jason Ralph had picked him up and swung him around. 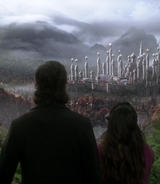 Hale – From a surname which was derived from a place name meaning “nook, retreat” from Old English healh. Appleman – Jewish (Ashkenazic): Americanized form of the German Jewish surname Apfelmann ‘apple man’, an ornamental name or a metonymic occupational name for a seller of the fruit.